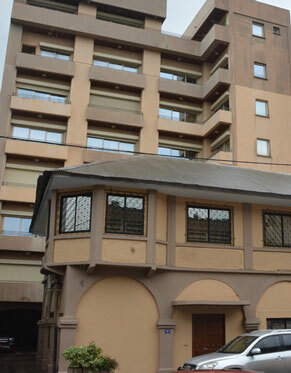 for Eneo Cameroon, providing strategic and technical support." Actis is a leading investor in growth markets across Africa, Asia and Latin America managing US$6.7bn in assets, operating through 12 offices globally. Eneo Cameroon is the national electricity company of Cameroon with over 1 million customers, almost 4,000 employees and installed generation capacity of 968MW. 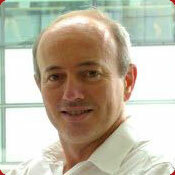 David has over 20 years' experience developing, financing and managing power and energy projects. At Actis, he gets to use this experience to provide returns for investors while helping to improve the lives of others. Within Actis' Infrastructure fund, David has an emerging market focus on power distribution and generation. 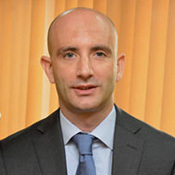 Before joining Actis in 2008, he worked at Globeleq (an Actis investee company) for five years where he was responsible for business development, mainly in Africa, completing a number of projects including privatisations, acquisitions, re-financings and exits, in Egypt, Uganda and Panama. David was previously Managing Director of Midlands Power International, responsible for their power generation businesses in the UK, Pakistan and Turkey. A Chartered Engineer with an MBA from Kingston University and a BSc (Hons) from Bath University, he has also worked at Covanta, Edison Mission Energy, Aquila and British Petroleum. David enjoys Actis' working environment, distinguished by people who have a unique, shared interest in investing and managing businesses in growth economies. Senior Energy Industry professional with 29+ years of experience and an affinity for operation excellence in intellectually challenging environments . Specialized in developing others' potential and in getting their buy-in/participation toward goals Conversant in high level negotiations and business transformation Hands-on experience in operation and management across all spectrum of upstream Oil and Gas from deep-water exploration to brownfield production. David	joined	CPH	in	August	2017	having	previously	been	the	Special	Advisor	to	the	Directeur	Général, Eneo	Cameroon since	June	2015. Prior	to	joining	Eneo,	David	was	the responsible	for	strategy	and corporate	finance	at	Umeme	Ltd,	the	national	electricity	distribution	concession	in	Uganda	where	he oversaw	listings	on	the	Uganda	and	Kenya	securities exchanges	raising	US$65m	and	a	subsequent US$190m	debt	offering. David	joined	Actis	in	2007	and	has	a	Masters	in	Development	Economics from	the	University	of	Sussex. 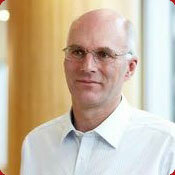 Philippe has been working in the utility sector in growth countries since 1990, in various roles within the value chain. He was drawn to Actis by the strategy, the team and the energy fund's business model of responding to today's increasing energy gap in high-growth economies. Born in France, Philippe's first job was in India before moving to South East Asia and he has since spent most of his career working on projects in growth markets. He joined Actis in 2013 from McKinsey & Co where he was a Senior Expert for the infrastructure and utilities sectors. 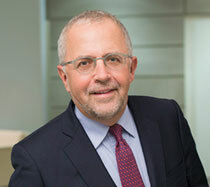 Before McKinsey, Philippe designed and built large projects at WorleyParsons, following 18 years managing three utilities and developing international projects at Suez. At Actis, Philippe focuses mainly on energy distribution businesses and integrated utilities to improve performance and create value. He is multidisciplinary: he is qualified to teach project finance at business school, manage construction projects and optimise power operations and revenues. A	Harvard	University	MBA	graduate,	Safiatou	spent	12	years	with	the	World	Bank	as	a	senior	financial specialist	for the	South	Asia	region,	following	which	she	was	appointed	Côte	d'Ivoire's	Minister	of Energy,	a	position	she	held	until	2000. She	was	subsequently	appointed	a	director	of	the	United Nation's	Development	Programme	for	South-South	Cooperation	(formerly	the	Special	Unit:	Technical Cooperation	among	Developing	Countries)	until	2004	when	she	was	appointed	deputy	chief	of	staff to	the	Prime	Minister	of	Côte	d'Ivoire. Safiatou's	deep	understanding	of	the	financial	and	political opportunities	and	challenges	of	operating	in	emerging	countries,	especially	West	Africa,	provides	a valuable	contribution	to	the	board. Philippe is Executive Chair of Global Electricity Initiative, Senior Advisor & MD - Energy & Climate, WBCSD and is an Advisory Board member for the Cambridge Institute of Sustainability Leadership. 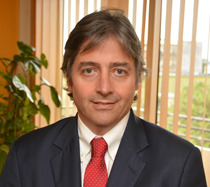 Philippe began his career in the banking industry in Brazil and Wall Street, New York. He then joined the Alstom Group in Brazil in 1986 and became Country President for the Group in 1992. In 2000, he joined the Executive Committee of Alstom as Executive Vice President and became President of the Transmission and Distribution sector and President of Power Sector, a business of 12 billion Euros, with 47,000 employees in 60 countries. In 2011, he was appointed by the Board Deputy CEO of the Group in charge of the Strategy, Sustainability and International Network of Alstom, a Group of 94,000 employees in 100 countries with 21 billion Euros sales. He left this position in 2012, and was appointed Senior Advisor to the Alstom Chairman and CEO. He joined the World Business Council for Sustainable Development (WBSCD) as Senior Advisor and Managing Director in charge of Energy and Climate area, Electric Utilities sector. He is also an advisor for Urban Infrastructure and Mobility initiatives. He is Executive Chair of Global Electricity Initiative, a common venture of World Energy Council, WBCSD and Global Sustainability Electricity Partnership. He chairs The Prince of Wales's EU Corporate Leaders Group in Brussels and sits on the Advisory Board of CISL. 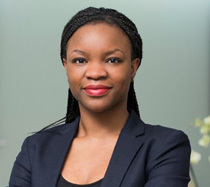 Lynda Amadagana is a lawyer admitted in Paris and Cameroon specialising in corporate transactions, energy and infrastructure projects, concessions and project financing in Europe and Africa. Prior to joining Cameroon Power Holdings, Lynda worked at the Paris offices of several international law firms including Orrick, Herrington & Sutcliffe, Clifford Chance, Simmons & Simmons and Reed Smith. She also worked in the Nuclear Engineering division of the EDF group. In her free time, Lynda serves as Vice-President of the Club Diallo Telli, a France-based think tank supporting sustainable and inclusive growth in Africa. 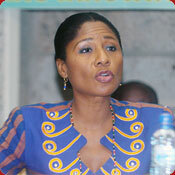 She is active in the African Business Lawyer's Club (ABLC), a French Association promoting a better understanding of doing business in Africa and is also a founding member of the Club of Cameroonian lawyers practicing in France (AJCF), a French association promoting Cameroon among international investors. Phil has been working as a safety professional since 1988 following an initial career in HM forces, operating within engineering and logistics. This background provided the necessary knowledge to work in a variety of domestic and international engineering environments from large scale civil engineering projects such as the development of the CERN Large Haydron Collider on the French/Swiss border, head offices for the National Oil Company of Abu Dhabi and the channel tunnel. He has also operated in specialist environments such as airports operated by BAA and railway infrastructure. Companies he has been employed by include BICC; Costain Engineering, Waterman International and EMCOR. Up to April 2015 he was operating in the electrical distribution sector for 7 years as part of an overseas investment in Uganda operated by Actis, where the ability to challenge the prevalent attitudes and prioritise risk has led to the company thinking strategically about safety. 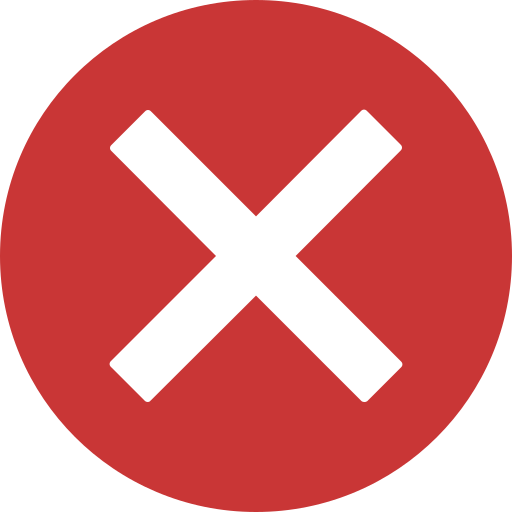 He holds an MSc in International Occupational Safety and Health from Greenwich University, London, is a chartered fellow of the Institution of Occupational Safety and Health and holds a Specialist Diploma in Environmental Management. In his time in Uganda Phil has reduced public fatalities to Zero, developed a fully qualified safety team, implemented a safety programme for contractors and sourced a practical way of removing PCBs from transformers. Michael Emmerton has 35 years of experience in the energy sector, with 15 years of international consulting experience in South-East Asia, Middle East and Africa. He specializes in energy master planning, commercial advisory services (unbundelling / pricing / financial models / tariffs/due diligence/privatization), asset management services, technical and commercial loss reduction and electrical engineering studies related to infrastructure. In the loss reduction field, Michael has practical experience in assisting utilities to reduce losses. 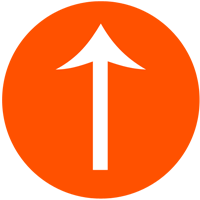 In 2008, he undertook a benchmarking study of loss reduction practices throughout the world. He subsequently worked with Meralco (Philippines) to reduce non-technical losses based on interventions at village level with reduction of 2% to under 10% over a 2 year period. He worked with JEPCO (Jordan) and reduced losses from by 2.5% to 12.5% over a 2 year period. He worked with UMEME on a technical loss reduction strategy and subsequently technical losses reduced by 4% over a 3 year period. 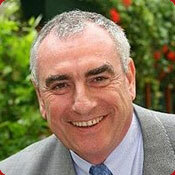 Eamonn holds an MBA, MA and a BSC in Financial Information Systems from Trinity College University, Ireland. He is an accomplished Business and Technology professional with significant international experience with leading consultancies (IBM Global Services, EDS and Accenture) in Europe, (PARC and ACTIS LLP) in the Middle East and Africa. He has strong business skills gained in senior management, operations, service delivery, information technology and telecommunications in international settings, with extensive experience in electricity distribution and supply management. Some of the functional areas he has worked in include billing, prepayment technology, advanced metering infrastructure, inventory management and large scale ICT implementations. Eamonn is a certified Project Management practitioner with a track record in overseeing multi-million USD projects on time and within budget. With 30 years' experience in PPP, international infrastructure projects and power industry projects, Yves regularly advises operators in both the public and private sectors, government entities and financial institutions for operations in Europe, Africa and Latin America. Recently, he has led a cross-border multidisciplinary team to advise Actis, one of the largest and most active private equity firms operating in Africa, in its purchase of a majority interest in three power assets in Cameroon from Fortune 200 global power company AES Corporation. Yves also has substantial experience in privatizations and acquisitions in France and abroad with companies whose main assets are infrastructure facilities. He notably advised the French construction company Vinci on the privatization of ANA, the Portuguese airport concession company. Quentin joined the Actis Energy Team in 2015 and focuses on new investments in Africa. Previously he was at the Boston Consulting Group, where he worked from 2013 till 2015 and advised energy companies. Before BCG, he worked for 3 years in the energy sector in Belgium, at GDF Suez (2008-2010) and at the energy regulator (2010-2011). Quentin holds a Bachelor and a Master in Mechanical Engineering (energy specialisation) from the Katholieke Universiteit Leuven, a Bachelor of Law, a Master in Economics, a Research Master in Economics from the Universite Catholique de Louvain, and an MBA from INSEAD. 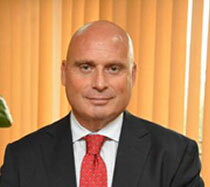 Elias is a former Senior Partner- Energy at Ernst & Young (EY), where he led the firm's energy and Oil & Gas practice. 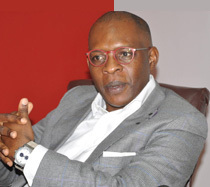 Prior to EY, he spent 14 years at PricewaterhouseCoopers (PwC) where he was a member of PwC's Africa Leadership team and Managing Partner for the firm's Sub-Saharan Africa Francophone team, leading the firm's expansion efforts across Francophone Africa. 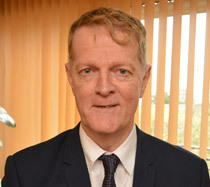 In his other activities and functions, Elias currently serves as Honorary British Consul to the Littoral Region in Cameroon and a Director/Advisor to a number of organisations doing business in Africa. 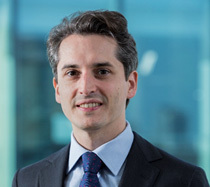 A Fellow at the Institute of Chartered Accountants of England and Wales, Elias was also selected as one of the prestigious Young Global Leaders by the Davos World Economic Forum in 2009, earned an MA degree with first class honours in Mathematical Statistics from Oxford University, and received advanced executive training at the Harvard Kennedy School and the Yale School of Management in global leadership, management and organisational leadership. With a distinguished career spanning 25-years, Elias has advised governments, multinationals and private sector institutions across Africa on strategy, operation, and general management issues. Mr. Adrián Ratner is a consultant with strong experience in Accounting, Financial Planning & Analysis, Strategy, Regulatory, and Commercial issues of Electricity Companies. He is BA in Economics and a M.S. in Public Finance, getting University Award for the highest marks graduating as Economist at the National University of Córdoba. He was CFO of Energuate, an economic group integrated by 2 (two) electricity distribution companies (DEOCSA and DEORSA), 1 (one) transmission company (RECSA), and 1 (one) electricity trading company (GUATEMEL) located in Guatemala. 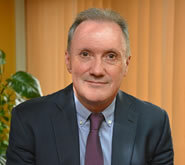 He had a significant role in setting the strategic direction of the Company, introducing best-practices and processes in the finance function, supporting the tariff review process, and following-up the main KPIs, in order to increase the enterprise value, while positioning the business for longer-term success. In 2016, following the target set by ACTIS, ENERGUATE was sold, reaching the return expected. Before joining ENERGUATE, he worked for AES, a global power company with generation and distribution businesses in 29 countries, and formerly as Partner Consultant of Quantum America Corp, a consultant firm of Energy Sector. With AES worked as Director of Strategy and Financial Planning in Central American and Caribbean, Brazil and at Global level in Arlington, USA. As Consultant, he has managed more than 60 sixty consultant projects for electricity companies executed in different countries of LATAM, Argentina, Peru, Venezuela, Bolivia, Panama, El Salvador, Brazil, Guatemala, Dominican Republic and Africa, Cameroon, Uganda and Mozambique. Entitled, Footsteps, Eneo transforms the electrical service, this document takes stock of the company for the year 2017 at the operational and financial levels. Little strides of Eneo in Yaounde. Opening of three new customer agencies at Odza, Messassi, and Nkoabang. Over 50 000 of our customers are going to benefit from proximity services and better service quality. Signing of MINEFOP-Eneo Partnership Agreement. Joël Nana Kontchou to the personnel "A new company is beginning to see the light of day". With the participation of 5% of the staff in the shareholding, Actis represented by CPH now holds 51% of the shares and the State of Cameroon 44%. 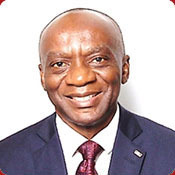 The connection to electricity is the best performance of Cameroon, which allows him to gain 25 places in the general ranking of the WB Doing Business Index.